Thank you SO much for all your lovely congratulatory messages over the last few days! I’ve been completely blown away by the amazing support and really appreciate all of your comments. 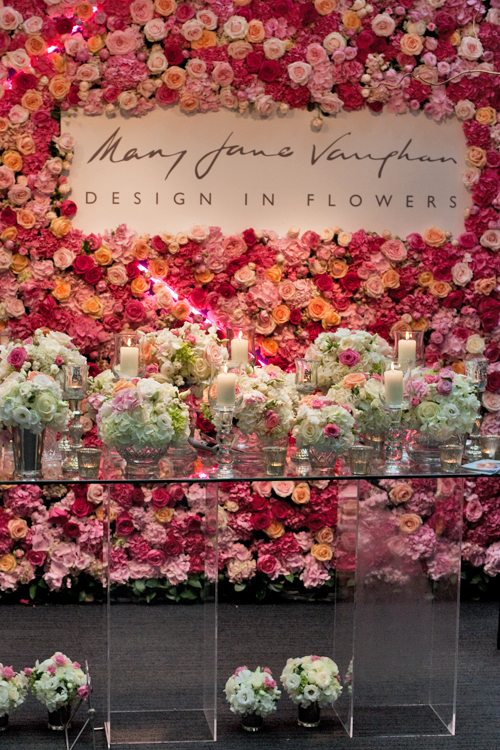 Very appropriately, my first post this week is on Wedding Wednesday and I’m delighted to feature florist Mary Jane Vaughan‘s stand at Brides The Show, which took place earlier this month. 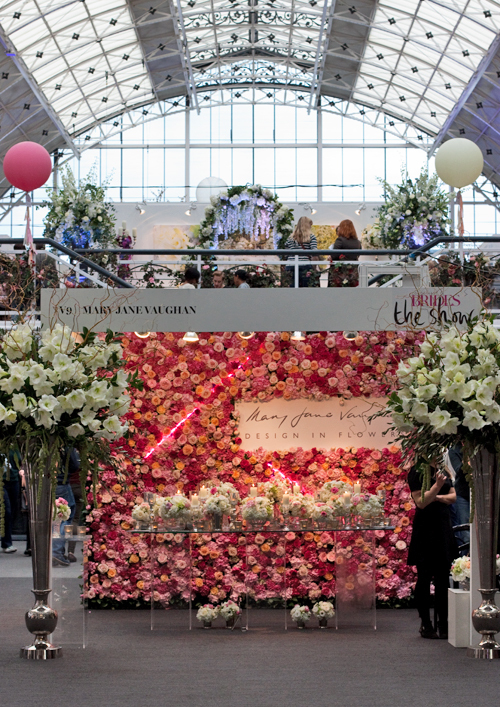 I loved their flower wall…a very big trend at the moment. 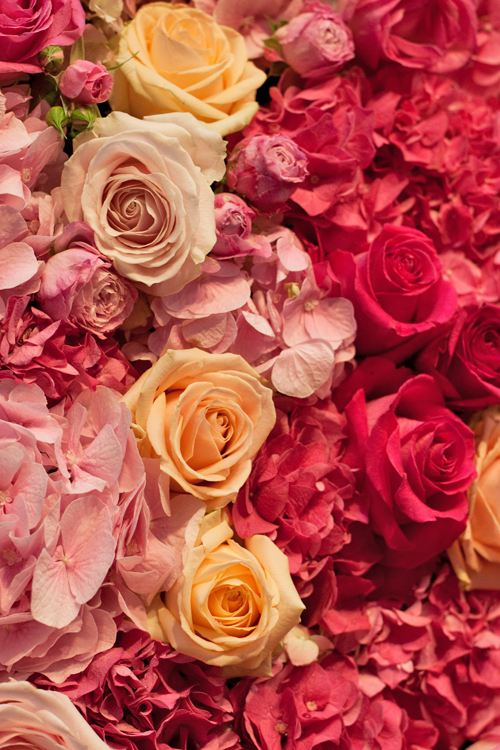 Did you see pictures of Kim Kardashian and Kanye West’s flower wall at their wedding? 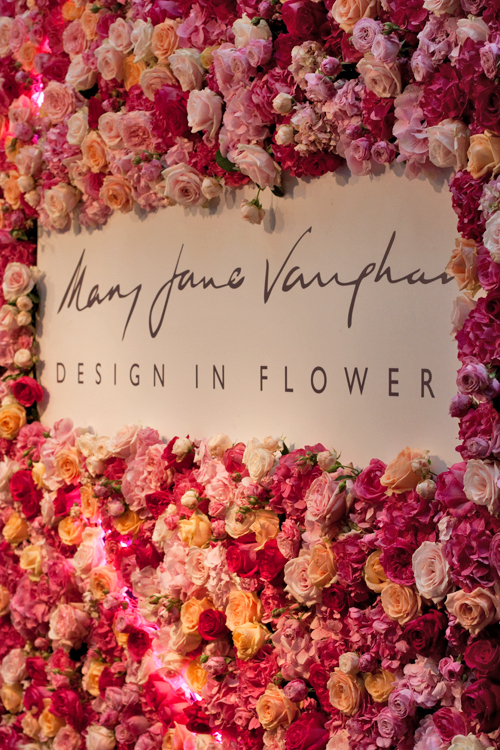 Beautiful roses and spray roses in various hues and sizes, together with hydrangeas were used to create Mary Jane’s wall. 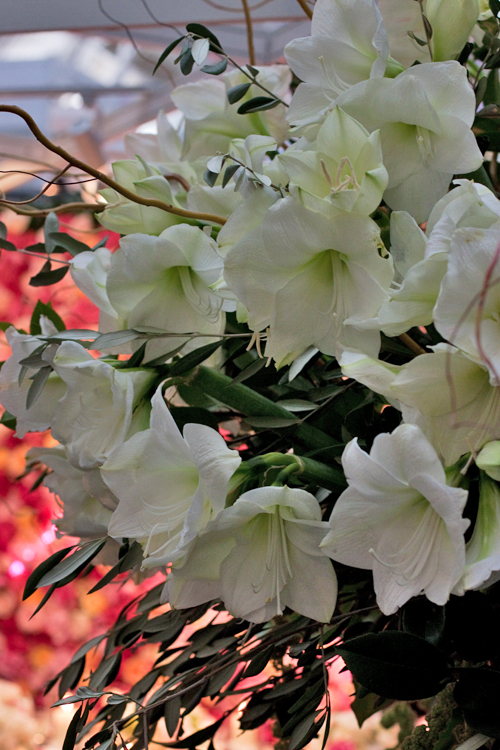 Framing both sides of the stand were two stunning tall pedestal designs featuring white amaryllis in full bloom. 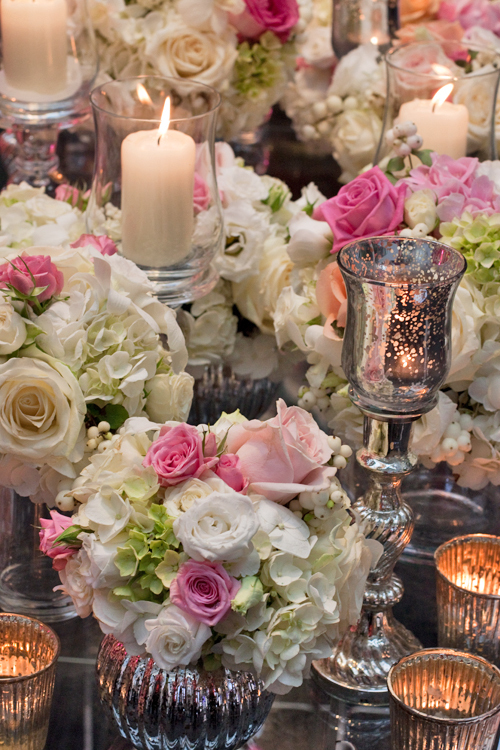 Aren’t these table arrangements just so lovely? 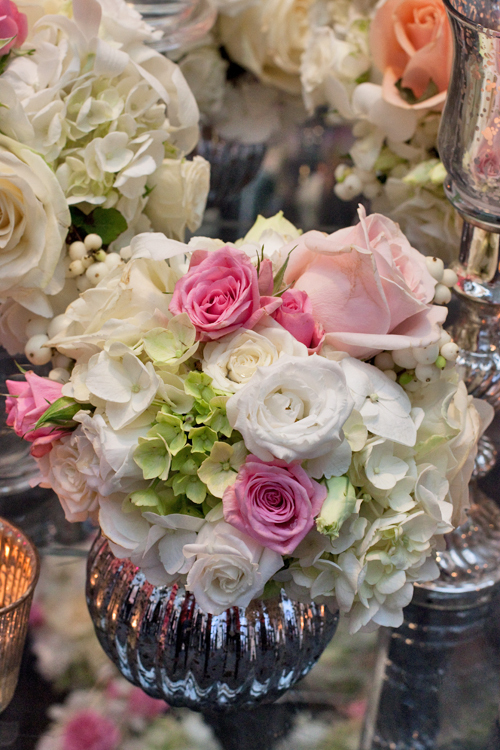 They featured roses, spray roses, hydrangeas, snowberry and lisianthus. And now back to some more photos of that incredible flower wall! It’s pretty special, isn’t it? If you’re a bride-to-be looking to make a real statement at your wedding, then perhaps a flower wall might be something you’d like to consider? P.S. If you’d like to see a video featuring footage from Brides The Show, here’s a link to my latest Flowerona Reflects video. 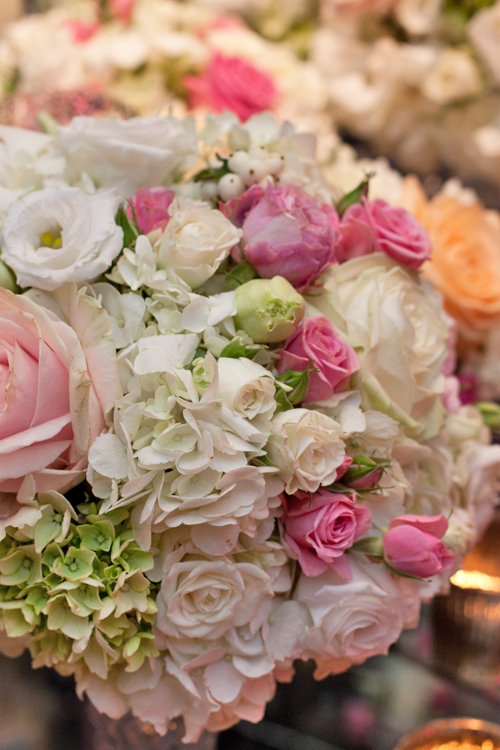 « Flowerona wins Best Wedding Flowers blog at the Wedding Magazine Blog Awards 2014!